Welcome to a new challenge at Runway Inspired Challenge. This week we are sponsored by Neat & Tangled, and the design team received some of their stamps to showcase! Inks used: CLose to My Heart Real Red, Hero Arts Tide Pool and Memento Luxe Dandelion with Hero Arts Butter Bar. Well, this week’s winner will receive a prize from Neat & Tangled, so make sure to play! I always love seeing what everyone comes up with! In the meantime, stop by the Runway Inspired Challenge to see what the rest of the design team made. I tell you, you will be in for a treat! Beautiful use of the N. & T. stamps and colors! ADORE this! Love that splatter stamp, this is perfect! 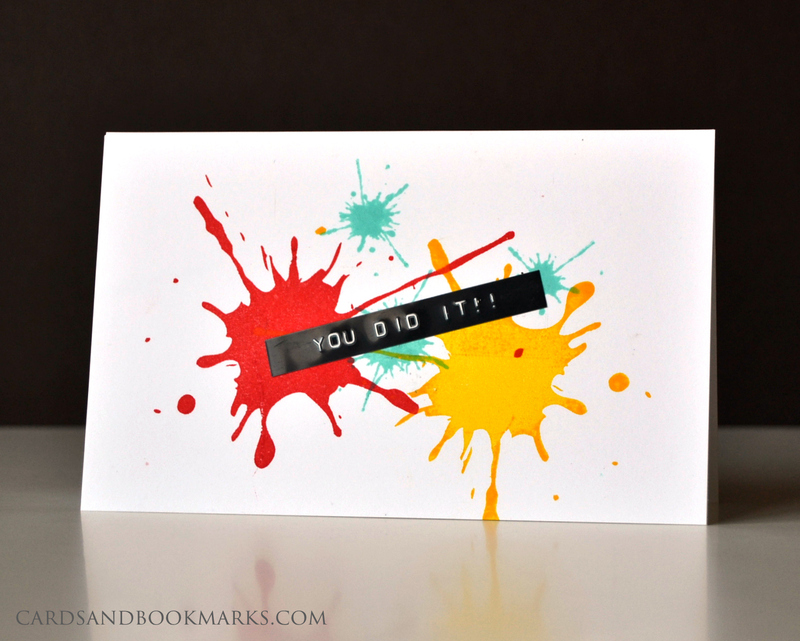 You rocked the ink splatter set, Tasnim! Beautiful colors! Hey Tasnim, way to go with the splatter! I love the stark contrasts, and the label sentiment. Awesome! Soooo clever Tasnim, love your take on the inspiration! Oh, those giant splatters are so fun! Wonderful take on the photo, Tasnim! What a fun card. Love the bold colors and the black tape strip. This is splat-tastic Tasnim!! I *love* how saturated your colours are! !